Our last Online Dispute Resolution (ODR) case study showcased Consumer Protection BC’s online platform. We have an update: the platform will be used as an early resolution tool for select BC-licensed debt collection agencies. Their aim is to help consumers who don’t feel comfortable speaking to debt collectors over the phone, and who would rather communicate online. Visit Consumer Protection BC’s blog page for more info on the debt collection pilot project. 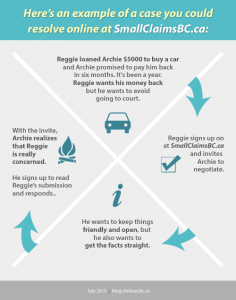 We now continue with our ODR series, this time focusing on Small Claims BC. 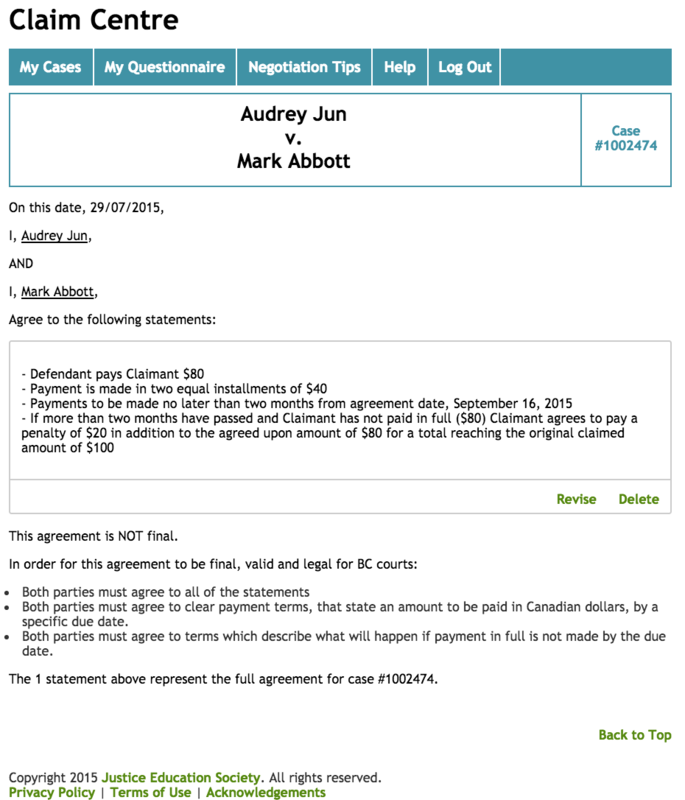 British Columbians who have disputes where the amount is no more than $25,000 turn to Small Claims Court to find a resolution. However, on average, claims take over a year to reach a judgment. 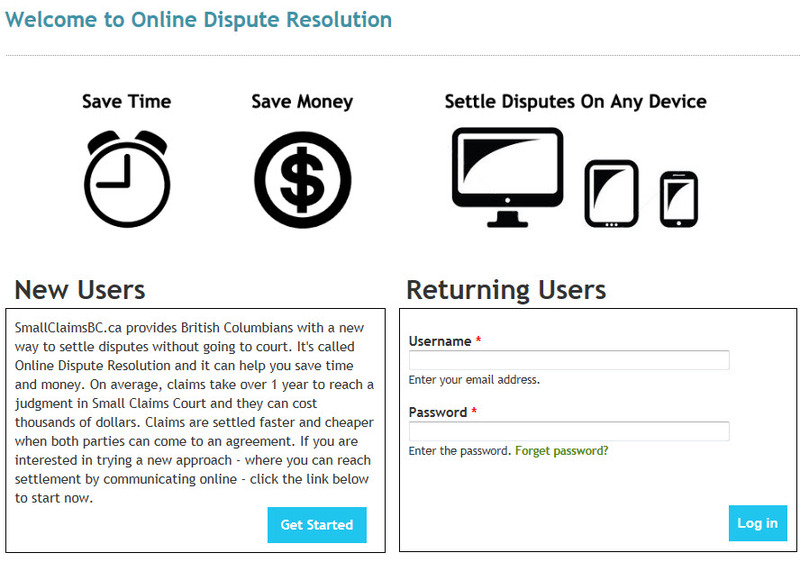 SmallClaimsBC.ca provides British Columbians with an alternative way to settle disputes without going to court using their ODR platform. Using ODR can help save time and money, which make sense as priorities when you are disputing a smaller amount. 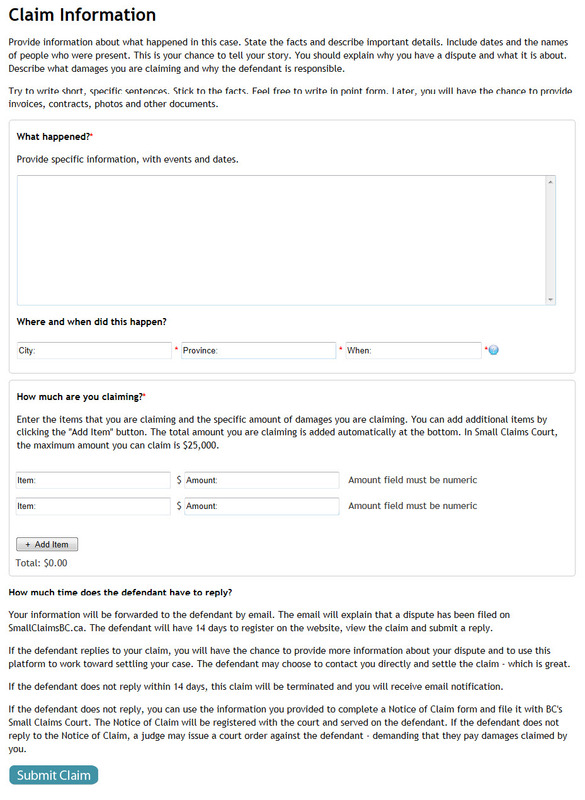 New users to the platform will be asked a series of questions to create an online profile before starting their claim. If you already have an account set up as a “returning user”, you need only enter your credentials to access the dashboard. 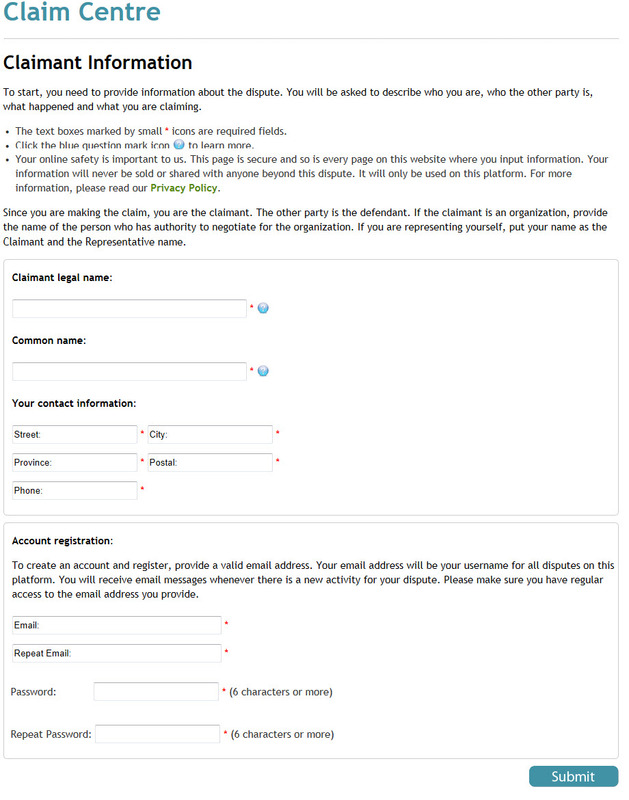 Enter your information to complete your online account. This creates a dashboard where your claim(s) can be accessed and managed. 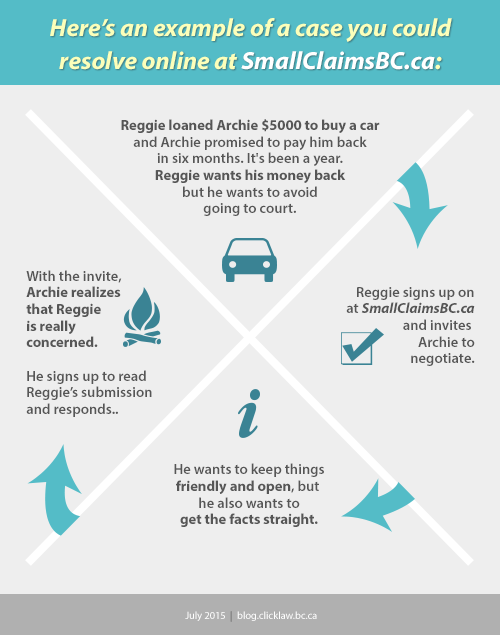 As the claimant, you will provide details about your claim(s) against the defendant. 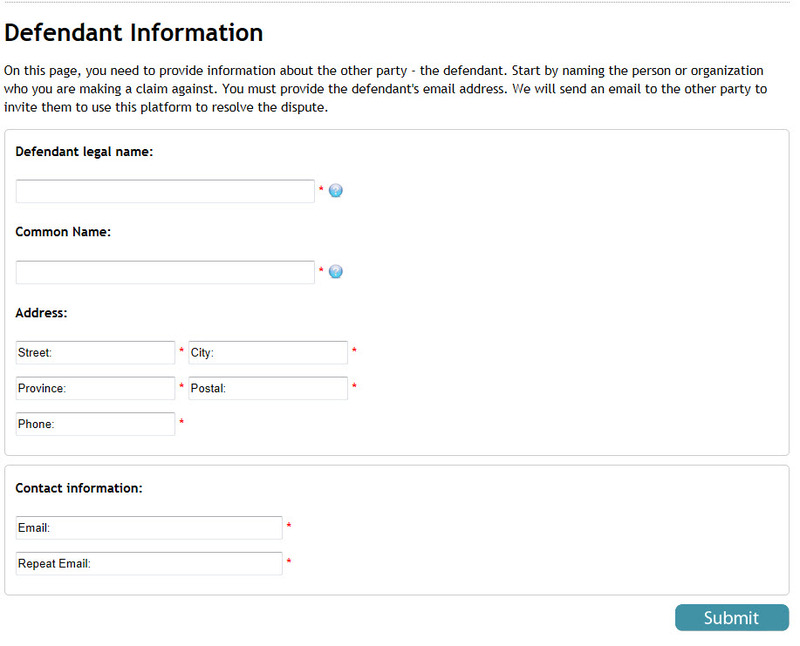 You are prompted to include important details such as: dates, times, the amount you are seeking from the defendant, and why the defendant is responsible. After you submit the claim, you are taken to a page to review your claim and make any necessary adjustments. Once you click next for a final submission, the defendant has 14 days to respond. 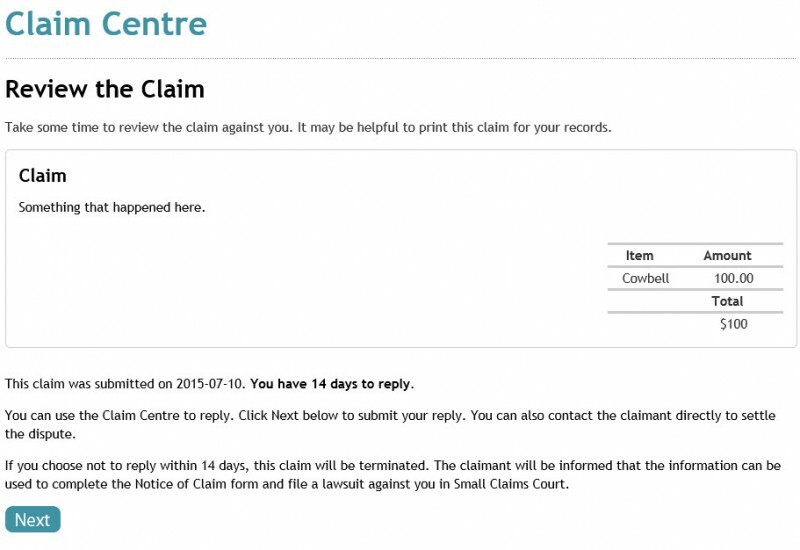 The screenshot below is what the defendant will see after the claimant has made their submission. As the defendant, you will create your own account to gain access to the Claim Centre dashboard. You have to create the account before you can reply to the claim against you. If you are defending yourself, you have the opportunity to reply and tell your side of the story. As with the claimant, you are prompted to provide as many details as possible. You may also “counterclaim” for money from the claimant at this point if it is applicable to your issue. 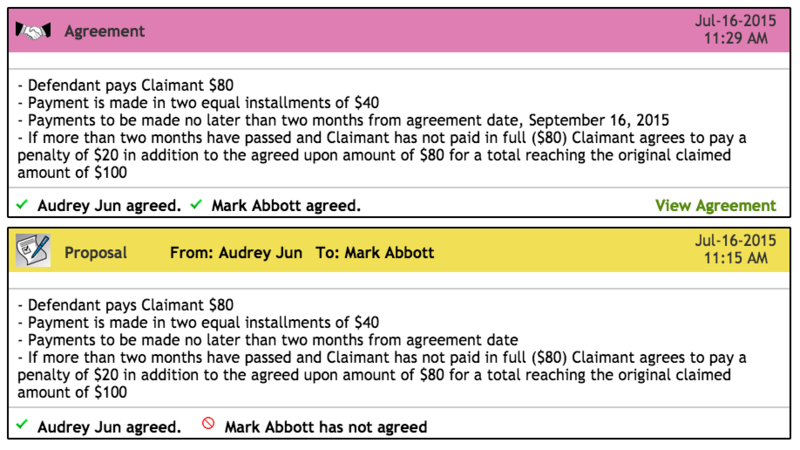 The Small Claims BC ODR platform provides a settlement agreement tool to assist in constructing a formally written agreement. 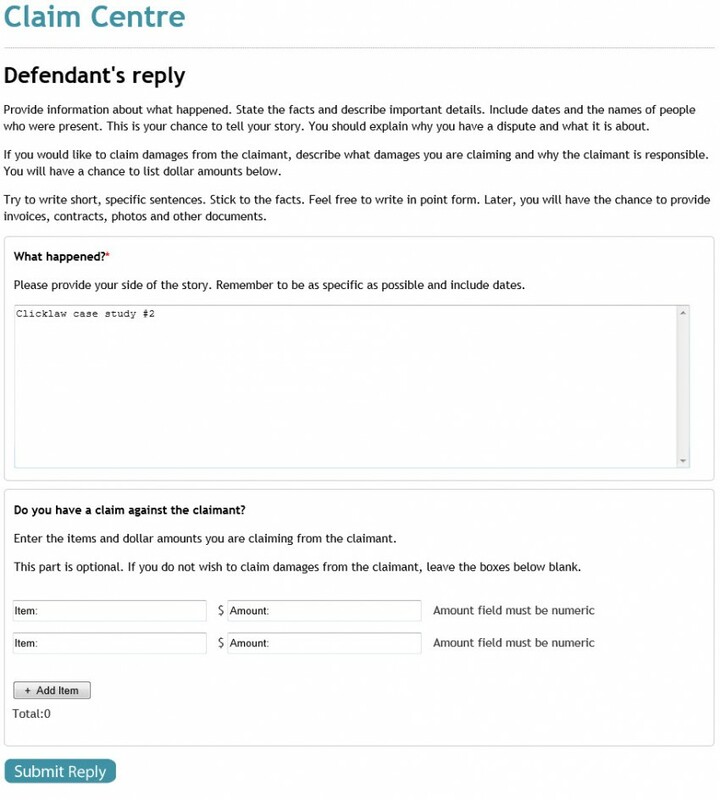 The platform advises that the claimant and defendant have to agree to clear and specific terms for it to be a legal document admissible in court. At any point in the process, you can exchange messages with the other side. 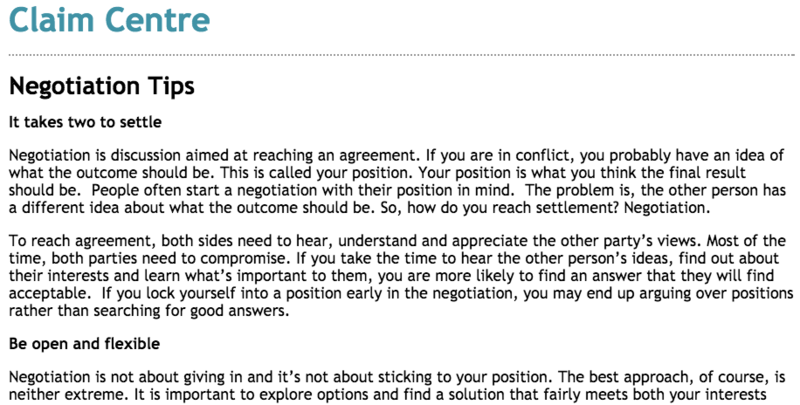 The platform also provides several handy “Negotiation Tips” to help set expectations for what a settlement will involve. We hope that was an interesting look into one of the online dispute resolution processes available in BC. The next post in our series on ODR will cover the launch of the Civil Resolution Tribunal—Canada’s first online tribunal. Subscribe to our blog (on the left-hand column) or follow us on Twitter @Clicklaw to receive notifications about new posts.